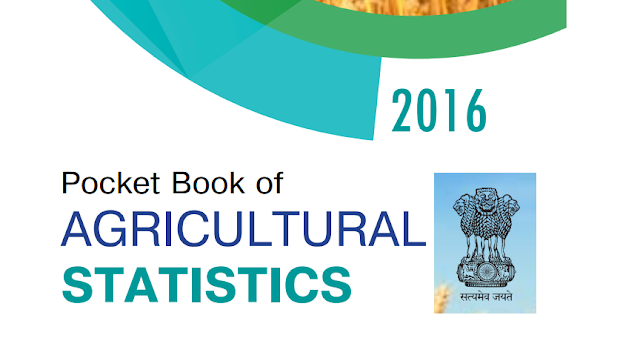 The 'Pocket Book of Agricultural Statistics' is now a regular publication of the Directorate of Economics & Statistics. In addition to the key data on the agricultural sector from the latest edition of "Agricultural Statistics at a Glance', this edition includes updated status on various new initiatives by the Government, viz., Soil Health Card Scheme, Pradhan Mantri Fasal Bima Yojana (PMFBY), Micro Irrigation, etc. Moreover, the inclusion of the latest international comparative scenario in agriculture sector and projections by various national and international agencies make this edition more useful for the users.